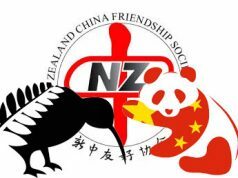 Ye Zi (Karen) from the Chinese People’s Association for Friendship with Foreign Countries (CPAFFC) was one of the speakers at the New Zealand China Friendship Society’s (NZCFS) 2016 National Conference. “My name is Ye Zi, also known as Karen to many of my good friends here. 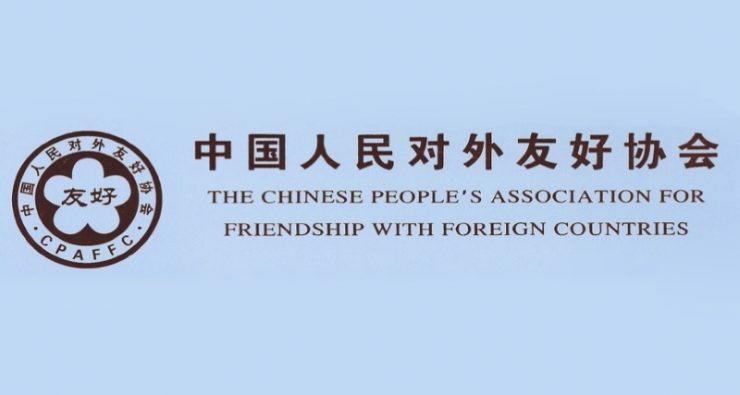 I am with the Chinese People’s Association for Friendship with Foreign Countries (CPAFFC) based in Beijing [Editor’s note: The CPAFFC is known colloquially as Youxie]. I am honoured to be the second recipient of the Margot Cornwall Scholarship and I am currently completing one semester of study at University of Waikato, in Hamilton. It is my pleasure to be invited here and be given this opportunity to speak, not only representing the Association but also on behalf of some Chinese youth. “To start, I like to describe myself as an ordinary individual among millions of Chinese citizens who were born after 1980. Due to the Family Planning Policy (as described by the Western media as the One Child Policy), most of us are the only child from our families. [Editor’s note: In January, 2016, the One Child Policy was changed to the ‘Two Child Policy’]. I didn’t grow up with a brother or sister. Today, I myself am a mother and I have a two-and-half-year-old girl. And yes, I am married and have a loving husband. It’s quite hilarious that every time I mentioned to someone here that I am a mother, the immediate question was “with a husband?” No exception! So to clarify things, Chinese people are still quite traditional and we follow the path of getting married first and then becoming parents. “My job in the Department of American and Oceanian Affairs – 美大工作部 of the Association can be described as dealing with people-to- people exchanges between China and foreign countries including New Zealand, Australia, Canada and all other Pacific island Countries. I have held this position for 9 years. I got the job right after my graduation from university in Beijing. I remember that then there were 6 of us in the office, responsible for people-to-people exchanges within the great Americas and Pacific region, but another 300 people just like us work from CPAFFC’s beautiful courtyard, conducting all kinds of friendly exchanges all over the globe. “A lot of faces sitting here today are our close friends, who are familiar with what we do. CPAFFC initiates and participates in all kinds of people-to-people activities. For instance, we host commemoration activities for Rewi Alley from New Zealand, Dr. Norman Bethune from Canada, and all other international friends who have contributed tremendously to the rise of new China. We have organized groups of Chinese doctors and nurses to visit Asian and African countries to treat local patients on a volunteer basis. We arrange photo exhibitions and performances of Chinese folk culture. We initiate forums and dialogues at national and sub-national levels between China and rest of the world to promote understanding and co-operation in areas including culture, economics and trade, technology, education, health, women issues etc. We organise delegations from China, and receive groups from other countries to come and visit China. They may be students, teachers, farmers, scholars, artists, businessmen and government officials at different levels. The aim of our actions and efforts is to promote friendship and establish not only understanding but also trust. “During my 9 years in CPAFFC, there has never been a day that I have felt lost or bored. Under the leadership of Madam Li Xiaolin [President of CPAFFC], we are making collective efforts and finding new ways of promoting friendship with foreign countries as well as keeping all the old and current relationship close and active. Just like all the things I learnt from my life and work, I have tasted the real meaning of “Good things take time”, also the theme of today’s conference. “Yes, good things take time, including friendship and trust. “I can still remember clearly that it was in 2008, just a year after I started this job, that my colleague and I received a delegation from the United States, organised by the US China Peoples Friendship Association. There was a farmer in his seventies, who had spent most of his time on his farmland, hardly ever travelled out of his home town and had never thought of coming to China during his lifetime. Long story short, his wife made a decision to join a large group to come and visit China, a country that was both mysterious and so far away to them. So they came. His name was Andrew. “As I had mentioned, this was the first time for most people in the group to visit China. We took them to Beijing, Shanghai and Xi’an, a classic route for first time visitors. They were nice and kind people, listened carefully to our introductions, asked questions and took pictures of the things we Chinese take granted in everyday life. Andrew was comparatively quiet and always walked at the back the group. I had to keep an eye on him and try not lose him in a country with a billion people. In doing so, we spent quite a lot of time in conversation together. And during the time together, I found, with surprise, that he knew hardly anything about China or about the new China. We started with a little bit of the long history about ancient China, and I explained what China had gone through in the past few decades. I, myself, as a young girl who had just graduated from university, had to do some research and use Google when it came to topics that I am not sure about, in case I fed him wrong information or misled him in some way. “After seeing the group off at the airport of Shanghai, I opened several of their “thank you” cards. One of them was from Andrew which contained not only a card, but a long letter on an A4 paper attached to it. There are a few lines that I will never forget. Andrew thanked the organisation for the work that was done by CPAFFC and admitted that he knew nothing about China before this trip. In his mind, Chinese were still wearing black and long grey gowns and living in places that look like the Forbidden City. He wrote that he would never regret the decision to come to China and would share his experience and feelings with his children and friends, and recommend China to them. “This is a country worth visiting”, as he put it. “Andrew’s comment drew me to thinking more carefully about the meaning of my job, the reason for promoting people-to-people relationships and I also realized in that instant, the long way ahead of us. “This “long way” comes a little bit from knowing nothing about China, a little bit from misrepresentation, and may also be from distrust and bias. “Last week, I discovered a book in the Waikato University library, written by Joe Bennett, born in Eastbourne, currently living in New Zealand. The name of the book is Where Underpants come From and was published in 2008. Joe had bought 6 pairs of Chinese-made men’s underpants from The Warehouse and suddenly got the idea of going to China to find where these pants came from. So he made a journey to China. At this point, Joe knew not too much about China. In his words: “Already most of us are clothed by China, shod by China, supplied with hardware by China, effectively in debt to China. And yet most of us know very little about China. My experience is typical. I left university thirty years ago, ostensibly educated. My knowledge of China is nil”. Well… maybe since that visit……..
“Now, China is New Zealand’s second largest tourist market. I found some figures from Statistics New Zealand: the International Visitor Arrivals (IVA) for New Zealand from March 2015 to March 2016 is 3,255,463, among which, 377,840 are from China. The tourists from China increase by 27.8% year on year. Booming Chinese tourism to New Zealand is set to rocket ahead even faster, with many more than half a million visitors a year expected to arrive by 2020. I also found out that China is becoming a hot outbound tourism destination for New Zealanders too. Getting to know each other is the first step. A key step. “After the first step of getting to know each other, we are looking for friendship and trust. Since good things take time, we have a reason to be patient and persistent. “Rewi Alley’s story is a good example of that. Rewi Alley was the founder and inspiration for the NZ China Friendship Society, dedicating 60 years of his life to the people of China, while remaining a New Zealander at heart. He was also a key figure in the establishment of Chinese Industrial Co-operatives. In the last thirty years of Rewi Alley’s life, he travelled the length and breadth of China, and wrote about what he saw, interpreting China to the world. I believe no one can understand better than himself the difficulties he had gone through and the misunderstandings he had to endure..
“After New Zealand recognised the Peoples Republic of China in 1972 attitudes changed rapidly and he received many honours in his homeland, including the Queen’s Service Order. “Rewi Alley’s persistence and positive attitude still influence the way we are promoting people-to-people relationships. In 2015, our division of 6 people, received 458 people in 36 groups visiting China, sent 46 Chinese people in 11 groups to go overseas, organised 5 international events and hosted 690 attendances. And, please remember, we are just one office out of nine in CPAFFC. If you browse our website (click here), you can find out about our daily activities. “Through people-to-people communication and exchanges, we organise tours in China, provide statistics of Chinese development and demonstrate Chinese culture and Chinese people’s traditional values. We explain to the world China’s endeavour to open up and interpret China’s development strategies and the Chinese Dream. “We are the Chinese storytellers. We help people to see the real China. Increasing communication with the rest of the world has brought us closer to each other. We are happy to find that more and more people have developed a keen interest in China. They want to know more about China. And they are ready to listen. “After 6 decades of on-going passion in people-to-people relationships, CPAFFC has friendly relationships with more than 600 non-governmental organisations from 157 countries in the world. The number keeps increasing each year. Understanding has been promoted, and life-long friendships and trust have been established. “Because it’s so vast and because it’s changing so fast, one can easily make a simple conclusion about China just from a piece of news from the internet, or a short story from TV. That would be a mistake. You must come to China to look and listen, to talk with the locals, and then make your own conclusion about China. I cannot remember how many people have told me how much their trip to China has changed their ideas of China, or even their way of looking at the world. Most of them like China more than they had expected after their trip. “Sure, China is not close by, but now you can get there within one day’s flight no matter where you are. Apart from individual leisure trips, you are also more than welcome to join the activities organised by CPAFFC. Between 4th and 8th July, the 7th Friendship Forum takes place in Chuzhou, Anhui Province, the theme of this forum is “Different Culture, One Heart” [Editor’s note: CPAFFC organises a Friendship Forum every 2 years]. In September, 2016, as part of the Dunhuang Art Festival, activities related with the commemoration of Rewi Alley will take place in Zhangye, Gansu Province [Editor’s note: Zhangye is close to the Shandan Bailie School, that Rewi help found]. The year of 2017 marks the 120th anniversary of the birth of Rewi Alley and 90th anniversary of his arrival in China. CPAFFC will organize commemorative activities in China. Details on them will come soon. We hope to meet with you in China on the above events. “I will finish my study here at mid-June. I appreciate the generous donations from our old kiwi friend who set up the Margot Cornwall Scholarship and thanks to NZCFS for making it happen for me. Also many thanks to Hamilton Branch for looking after me during my stay. “I enjoyed it very much. I am happy to get back to school and sit again in the classrooms, listen to the lecturers, and watch the young people around me. It is like, but effectively different from my years at university. This time, I won’t hesitate about which way the future lies. I know exactly where I am from, and where I am going and I have a faith in my heart. I know good things take time, but I also know, they will come eventually.